This manual was created to communicate basic club safety guidelines. Appendix 2 of this manual contains Emergency Action Plans for coaches that should be used in conjunction with the entire contents of this manual. The Safety Committee is comprised of the club President, the Vice-President of Resources, the Program Representatives and the Webmaster. The senior coach present will assume command in the event of an emergency and will direct and control operations until the arrival of appropriate authorities. At that time, this coach will identify themselves to the authorities and continue to liaise with authorities and direct Capital RC personnel accordingly. Inexperienced operators or improperly equipped individuals will not be allowed on the water during an emergency situation. Familiarize themselves with all the contents of this safety manual, and any other additional rules, safety guidelines and notices Capital RC provides. Follow all of the Capital RC and Anacostia River rules, at all times. Follow the instructions of Capital RC coaching staff, coxswains and Safety Committee. All new rowers and coaches in Capital rowing programs will receive written instruction in safety procedures prior to involvement in rowing. In addition, all rowers and coaches will attend a review session of rules and safety procedures at the commencement of their season/program. All new rowers training in Capital RC rowing programs will be informed and made aware of the rivers feature’s including safe beaching locations, danger spots, obstructions and other safety hazards, prior to their involvement in rowing. Hold annual safety meetings with all participants. Have all members view the US Rowing safety video, “Ready All Row” r prior to rowing with Capital. 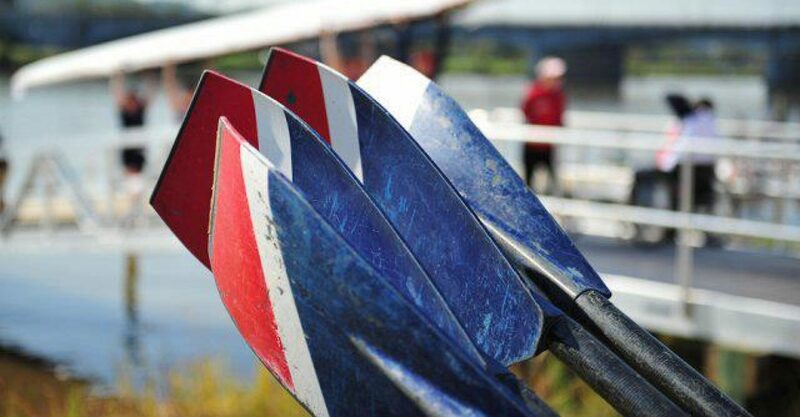 Maintain rowing equipment with safety in mind, unsafe equipment should be prominently marked and removed from use. Post local safety rules and traffic patterns at the compound. Provide copies of safety rules available on the web site. Provide access to electronic copies of the safety rules and emergency procedures. Provide working, reliable safety equipment such as radios, noisemakers, flotation devices etc. Establish and discuss the emergency action plan to be followed in the event of an emergency. All coaches and rowers should know what to expect and how to respond. Know first aid and resuscitation techniques, including CPR. Know where telephones are located near the water. Become a member organization of US Rowing to receive copies of current publications and safety information. On the water the Coach to rower ratio shall never exceed 1:27 for experienced masters rowers and 1:19 for Novice and Junior rowers. All rowers must complete the online registration form and complete the US Rowing safety waiver for each year. On the registration form, the rower must note any medical conditions that might affect their ability to row and any special needs in the event the rower requires medical attention. Scullers shall properly fill out the logbook prior to an outing and follow the Capital RC Sculling Guidelines as well as the contents of this manual. Capital RC recommends that new or returning rowers should consult a physician before starting any form of exercise, including rowing. The rower should notify their respective program coach and coxswains if they have any medical condition that could impair their ability to row or that requires special attention. All members with special medical/health conditions shall take precautionary medications in the boat with you while rowing (i.e. asthma inhalers). All coxswains and scullers should learn the hazards and traffic patterns of the Anacostia and Potomac Rivers. Stay clear of bridge abutments, barges and other man made or natural obstacles. Do not turn near any such obstacles. Make frequent checks on both sides of the boat and to the rear and listen for other river traffic. All rowers and coaches must be cleared by the VP of Membership, with all necessary paperwork; insurance information must be included for any rower to participate. This insurance information will be kept with the team at all times (in the medical kits that are at the boathouse and travel with the team to competition.) Coaches’ insurance information should also be included in case of emergency. Capital Rowing Club -Vehicle insurance cards must be with Transportation Capitan for any and all team travel, this includes but is not limited to trailer and tow vehicle and college vans. The equipment will be maintained in the best possible way to insure athlete safety and water safety as well as to insure the prevention of injuries to the rowers. Any and all damage must be reported to the head coach as soon as possible. Failure to report correct issues with the equipment could risk athlete safety and is unacceptable. A fall and spring safety audit will be conducted by the VP of Operations. This will include the safety and workability of all team rowing equipment, as well as an inventory of all safety equipment in launches as well as at the boathouse. Any needed equipment or repairs will be done as needed. The President, Vice Presidents and coaches have final say on whether conditions are safe for rowing for all members using Capital RC equipment. The Head Coach of each program present at the time in consultation with the other Head Capital program coaches present and the present members of the Safety Committee will make all final decisions about appropriate rowing weather conditions. That being said, no assistant coach will make a decision about appropriate launching conditions. All coaches will use their best judgment and to insure the safety of the rowers, they and all Capital R C equipment. No crew coaches will launch during these listed weather advisories: SCA (Small Craft Advisory); Wind Storm Advisory, Lightening Storm Advisory, and any other questionable weather conditions, including rapid current or flooding advisories. Racing shells are designed to be used in protected waters under ideal conditions and under the supervision of an experienced coach. Sculling boats can only be used in accordance with the Capital RC Sculling Guidelines. Quick-release shoes with Velcro closure and heel tie-downs. A sound making device (i.e. horns or whistles). Shells being rowed in the dark must be equipped with lights. The rowing shells and some of the individual oars have been designed to provide floatation. (Note that adjustable handle oars do not provide flotation). They are not Personal Floatation Devices (PFDs). They are only emergency floatation devices. The Safety Committee recommends that all unaccompanied boats carry Coast Guard approved PFDs. A copy of the Coast Guard Regulations concerning PFDs in rowing shells is available upon request from US Rowing. Safety/Coaching launches are required to carry one Coast Guard approved Personal Flotation Device (PFD) per rower plus one additional PFD per rider in the launch. All Capital RC coaches in launches are required to wear a PFD. There will be no exceptions. The safety/coaching launch provides safety supervision when rowing and support assistance in an emergency situation. Shells should stay “within hail” distance of their safety launch. Number of passengers in the launch should not exceed the limit for that particular boat. No passengers/rowers are allowed in the launches, unless special exception has been given. Launches are provided for safety and coaching only. In the event of an emergency additional passengers in the launch could represent extra shuttling time between the land and the rowers in the water, therefore this situation should be avoided. The launch driver has the responsibility to ensure the safe operation of the launch in compliance with local and federal laws. When possible, use a trained person as the driver to allow the coach to focus attention on rowers. The driver must be trained in the proper use and operation of the powerboat. Classes are offered through DC Harbor Patrol and the Boat US website at www.boatus.org. Know how to have rowers enter the coaching launch from the water. Rowers in the water should be approached from the leeward side, keeping outboard propeller away from any victims. Turn off the engine as soon as contact is made. Avoid overloading. Affix lights to all launches for use before sunrise or after dark. *The tool kit should contain wrenches, appropriate nuts, tape, washers and other materials needed to make small repairs. **Ensure that the launch carries a floatation device for all on board plus one for each person on the water. Capital RC provides two-way radios made by Motorola for Safety use. The Safety two way radios are provided so at the push of a button all Coaches on the water for Capital RC can be notified in case of emergency. One Capital Rowing Club Safety Phone will be present and turned on in each Safety launch during a supervised practice. When two coaches are on the water, each coach is responsible for maintaining contact with the other coach regarding safety, weather and location time as required. The Coaches are responsible to replace the phones in their charging harness to insure that they will be ready for use at the next practice. These Safety Phones will not be used for personal calls and will be used during practice for safety reasons only. At least one coach on the water must personally carry a backup cellular phone at all times. Emergency phone numbers will be carried in each launch, will also be in each medical kit, and will be posted in the boathouse. In the event that a coach does not have access to the cell phone or the Safety Phone fails, they must radio the other coach for immediate assistance. Maps and directions to area hospitals will be posted in the boathouse along with all emergency phone numbers. Written directions to the boathouse and safe beaching areas from major roadways will also be posted in the boathouse and will be carried in medical kits. All emergency phone numbers will be posted in the boathouse and will be carried in launches. This list will include, but will not be limited to: Fire/Rescue, Coast Guard, Harbor Patrol, President, and VP Operations. The U.S. Coast Guard has developed right-of-way rules. Vessels with the least maneuverability have the right-of-way, but should always play it safe and take action to avoid all other types of boats. All members should familiarize themselves with shallow water, stumps, rocks, buoys, seasonal problems and landmarks. Stay clear of bridge abutments and other man-made or natural obstacles. Do not negotiate a turn near such an obstacle. No turns should be made within 100 feet of any bridge abutments. Be courteous to others on the water. Be aware of powerboats and treat them with respect. Stay to your starboard shore. Veer from starboard lane to avoid sandbars or other obstacles only after checking carefully for oncoming boat traffic. Be alert at all times for oncoming traffic that may be outside of the normal traffic pattern when avoiding sandbars or other obstacles. Right of way goes to less maneuverable boats; scullers must yield to eights and fours. Avoid turns near bridge abutments or other obstacles that block lines of sight. Boats shove off and approach the dock for landing while moving downstream. The coxswain or single sculler should make frequent checks on both sides and listen for oncoming traffic. After launching, paddle downstream through the downstream 11th St Bridge before either stopping to get tied in, or before turning to go upstream. Incoming (docking) crews have right of way over launching crew. When launching and docking, always use the most downstream section of available dock space and walk the boat down as space opens up. Boats may not turn in front of or between the docks. Downstream and upstream traffic are divided by large wooden structure on middle abutment between Arches #4 and #5. Please avoid using arches #1, #4, #5 and #8 whenever possible. Be careful of docking posts and sharp turn on upstream side of bridge and Metro bridge pylons. All members should be aware of weather conditions. Check for gathering clouds, changes in wind speed and direction, temperature changes or other boats returning home before heading out. Up to the hour weather forecasts can be found on the Capital Rowing Club web site, or by calling 202-936-1212 or by using a weather radio. A weather radio is stored at the boathouse. All weather alerts will be given the utmost consideration before any crews are launched for practice. No crew coaches will launch during these listed weather advisories: SCA (Small Craft Advisory). Wind Storm Advisory, Lightening Storm Advisory, and any other questionable weather conditions, including rapid current or flooding advisories. No crews will row on water in white cap conditions. No crews will be allowed on the water in the dark hours without appropriate lights: Stem and bow. Be aware of the river level. Low river levels reveal submerged hazards such as sandbars. High river levels increase the speed of the currents, especially near constrictions such as between bridge abutments. Do not row in high wind whitecaps under any circumstances. Do not row in fog unless the visibility is at least 100 yards. Do not row in an electrical storm. Use your judgment about rowing in hot or cold weather. Rowing in hot weather with warm temperatures, sun exposure or high humidity poses a challenge to your body’s regulation system. If sweat is excessive and fluids are not continually replaced , dehydration may occur. Rowing in cold weather poses potential danger for hypothermia when the water temperature is below 80 degrees and very dangerous when below 50 degrees. The greatest danger while rowing is collision caused by limited vision or carelessness. Great care should be taken when rowing in darkness or near-darkness. Take extra care to look and listen. Minimize conversation. Be careful not to get too close to shore or known hazards. Only row in familiar waters under these conditions. There should be an all round white light available for each rowing shell when rowing between sundown and sunup. It should be sufficient to warn approaching vessels. It is recommended that reflective tape be placed on the top of the gunwales and splash boards. You must attach a visible red light to the bow of your shell before sunrise and after sunset. It is advisable to wear light colored tops, especially scullers, bow rowers and coxswains. A green light (either blinking or constant) marking the stern of the boat is also required. Scullers should also wear bow red and stern white lighting on their person as back up in the event the lights fail. Please notify the VP of Operations through the repair log if lights are not working. Water temperature should always be monitored. There are two water thermometers at the site of the Anacostia Community Boathouse: a thermometer is hanging from a string tied to each ramp down to both the upstream and downstream docks. If one has broken off its string, please report to the VP for Operations or the Small Boats Representative. Water temperatures below 50 degrees Fahrenheit are considered extremely dangerous. Scullers logbook: All small boats going out without must sign out in the log book posted on the wall of each compound or in the boathouse. Small boat members must list a monitor who knows when they are out on the water, when they will return and how to activate an emergency response, including calling DC Harbor Patrol (202-727-4582). Coxswains of all Sweep boats must sign the Supervised Sweep Boat practice log book. All rowers must certify that they know how to swim. Adults must certify by checking the appropriate box in the online registration system that they are able to swim. This certification indicates that that they are able to pass a swimming test equivalent to treading water for ten minutes and swimming 25 yards. Capital members under the age of 18 must take a swim test and submit a swim test card every three years certified by a trained Red Cross life guard. Clothing should be flexible, form fitting and appropriate for athletics. Loose or baggy clothing that can get caught in the slides of the seat or hooked by an oar or other parts of the boat should not be worn. Clothing should be appropriate for the weather conditions. Clothing should not prevent the rower from swimming if the event of an emergency. Expensive jewelry and accessories that can be lost or caught on equipment should not be worn. Wearing several layers of clothing works best. Polypropylene in cold weather is best next to the skin. It wicks moisture away from your skin. Wool is the next best material in cold weather, since it also dries from the inside out. Wearing a hat in cold weather is advisable. Heat is lost very fast from the head. A windproof jacket / wind shirt helps to reduce wind chill. Light clothing cotton or preferably quick-drying synthetics like cool max. Each person is 100% responsible for the whole boat and 100% accountable for his own oar, rigging, foot- stretchers, seat and slides. Check to make sure that all equipment is functioning properly before leaving the dock. Nuts on the rigging, the position of your foot stretchers and the smoothness of your slide are acceptable. Forward end of the slide is blunt and will not gouge your calves. Rowers in front and behind you have sufficient room to complete their stroke. Seat fits your body. Adjust with seat pads or a different seat. Oar is the proper size. Rigging is not too high. Clothing cannot become tangled in your moving seat or oar handle. Proper safety devices on board. Which seat and which side you are rowing, and whether you are in the bow or stern pair/four. Land warm-up should become part of your training ritual. Before rowing, get your body up to the proper intensity by taking three minutes before you touch the boat to get your body warmed up by jogging, jumping rope or running in place. Follow that workout with seven minutes of basic stretching. Water warm-up should be used to gradually and safely build you up to full intensity. An example would be building up gradually from no pressure “arms and back”, “1/4 slide”, “1/2 slide,” “full slide”, then adding pressure until proper workout intensity is reached. Rowers in multi person shells should always be quiet and attentive to the Coxswain, Coach or Program Representative. All Capital RC members must comply with instructions given by Capital RC coaches and program representatives. Oarlocks should be kept locked until everyone is out of the shell. At least one hand should be kept on the oar at all times while on the water. Close bow and stern hatches. The coxswain is in command of the boat at all times, and should be given complete attention and respect. The primary job of the coxswain is to safely guide the boat by steering the boat and commanding the crew. The coxswain is responsible for following the traffic pattern at all times. The coxswain is responsible for being aware of, and avoiding other traffic, which may or may not be following the traffic pattern. Before new coxswains go on the river in a Capital RC boat, they must be aware of the traffic patterns and Capital safety guidelines and be handed a copy of the river traffic pattern. If they have never been on the Anacostia River, a new coxswain must go out on the river in a coach’s launch to understand where the obstacles are and which bridge arches to use. The program head coach has final authority to determine whether it is appropriate and safe for a new coxswain to take a Capital boat out on the water. Coaches of all programs must consult the Coxswain Representative and inform the Program Representative before sending a new coxswain out in a boat. As in many programs, rowers at Capital are often needed to cox a practice. Before coxing, all rowers must become familiar with the river traffic pattern. New rowers must row with Capital for four weeks before being asked to cox a practice, to allow time to familiarize themselves with the river. Members of a crew should not talk while the boat is moving: it makes it harder to hear commands and distracts the coxswain from their primary job: the safe guidance of the boat. Any rower, who sees a hazard that they believe the coxswain does not see, should notify the coxswain immediately. Be aware of changing weather conditions. Watch for gathering clouds, changes in wind speed and direction, temperature changes or other boats returning home. If on the river, be aware of the tide and check the current direction (look for floating objects or kelp). See also, Emergency Action Plan, Appendix 2. Shells at intervals of not more than two minutes, one prolonged blast, followed by two short blasts. Power launches making way through the water one long blast at least every two minutes. Power launches underway, but stopped in the water two long blasts with two seconds between blasts, every two minutes. If you are on the water and see lightning, hear thunder or notice your hair standing on end with static electricity, head for the nearest shore. If the storm is not yet upon you, follow close to the shoreline and quickly return to the boat house. If the storm is upon you, take your boat ashore and wait for the storm to pass. If you have run aground on a sandbar, stop rowing immediately at your coxswain’s command. The coxswain should try backing out if the boat is not too far up on a sandbar. If you have become too stuck on the sandbar to back off if it, rowers will have to get out one by one on the sandbar until the boat becomes light enough to push off of the sandbar. Rowers assisting from the water in pushing the boat off the sandbar should try to remain on shallow ground, being careful of sudden drop-offs. The rowers should then carefully get back into the shell and return the boat to the boathouse. Once back on land, the hull of the shell should be carefully checked for damage. If a shell has lost a skeg while on the water, the rowers must return to the dock immediately. The incident must be reported to the VP for Operations and in writing on the damage report log. Rowers must not take out any equipment that is considered broken. Any damaged equipment should be reported immediately to the VP for Operations and in writing and on the damage report log. All significant crabs should be reported to the VP for Operations in writing on the damage report log (list boat and seat number) located on the shed door in the north compound. If approaching wakes are higher than the gunwale, the shell should be turned parallel to the wake to avoid having parts of the shell unsupported by the water. It is possible to split a shell under these conditions. Rowers should stop rowing and lean away from the approaching wake, with oar(s) on the wake side lifted slightly. If wakes are lower than the gunwale and widely spaced, continue to row without a course adjustment. Closely spaced wakes that are lower than the gunwale may be taken at a 90 degree angle with the bow directly toward them. No wake buoys. You may wish to take the bow number (registration) of any boat violating these rules and report the incident to the DC Harbor Patrol. Under no circumstances should a rower in the water leave his floating boat. Even if a swamped boat is within a swimming distance from the shore, the rower should swim the boat to the shore. Do not leave your floatation, even if you consider yourself a strong swimmer. In an emergency condition, the first action to perform is stopping the boat. Someone should give the command “Weigh enough, hold water!” Don’t ask questions; just respond immediately by stopping all forward body movement. Square the blades in the water to bring the boat to a halt. The stroke removes oar from the oarlock to throw to the person in the water. Note this is only for non-adjustable handled oars. Oars with adjustable handles do not provide flotation. . Person in the water should lie across the oar and remain close to the shell. The launch picks up the person and determines if the rower returns to the shell. Another rower may be required to enter the water to assist with first aid. Immediate command “Weigh enough!” Signal launch if first aid is needed. Immediate command “Weigh enough!” Make adjustments or signal launch for assistance. A shell is swamped when the interior water reaches the gunwales. If rowers stay in the boat, the floatation ends may cause the boat to break apart. Coxswain directs rowers to untie, signal launch and unloads rowers by pairs – starting in the middle of the boat – as soon as possible in order to avoid damage to the boat. Pairs should form “buddies” and keep watch on each other. The coxswain should buddy with the stern pair. Do not attempt to roll the boat if rescue is on the way. Remember that body heat loss occurs 25 times faster in water. A launch can shuttle rowers to the nearest shore. Be careful not to overload launch. When the boat has been brought to shore, remove the oars. If the ends of the shell have filled with water, they must be drained before the boat can be removed from the water. Remove the shell carefully to avoid injury or damage. A boat full of water is very heavy, so try bailing first, then roll it slowly and remove it from the water. Singles should be rowed with a “buddy” boat or launch. The rescue boat will stabilize the re-entry. Entering the shell directly from the water may cause splashboard damage. Swim the boat to shore, lying in the stern, using the shell as a paddleboard. In very cold weather you can abandon your shell and lie on the stern deck of your buddy’s boat to be taken to shore. The loss of muscle control can occur very quickly and dramatically in cold water. The stern deck rescue may be your only option. Immediate command “Untie!” This rarely happens except in small boats. Be sure that all rowers and coxswains are accounted for. Stay with boat until assistance arrives! Immediate command “Untie!” Get out of the boat and follow the same procedures as for a swamped shell. Do not leave floating boat. Hold onto your oar and use it as a floatation device if boat sinks. If a distress signal is seen and insufficient assistance is near that craft, maneuver your shell to the distressed boat. Attempt to summon other launches or stable boats with distress signal. Assist in any way that does not jeopardize the lives in your boat. Capital RC provides an Emergency Action Plan as an Appendix to the material provided in this document. It is meant as a supplement to all the information provided in this Safety Manual. All Coaches and coxswains are required to be familiar with and adhere to the Emergency Action Plan located in Appendix 2 as well as all the information in this manual. Occurs when a victim is subjected to cold temperatures, cold water, ice or snow. There is a potential danger for hypothermia when the water temperature is below 80 degrees and very dangerous when below 50 degrees. Call 911 (or channel 16 on VHF Radio). If the victim is conscious, warm him or her by removing wet clothing and wrapping in warm blankets (Rub them and give warm liquids – no alcohol). Warm them with warm blankets or the body heat of another person. Prevent the victim from losing more body heat. Do not warm extremities (see below). If the victim is not breathing and there is no pulse, clear the air passage and begin mouth-to-mouth rescue breathing and external heart massage (CPR) IMMEDIATELY. Once you begin CPR, do not stop until medical assistance is obtained. Don’t give up. Drowning victims may look dead. Their skin is blue and cold to the touch. There is no detectable heartbeat or breathing. The eyes are fixed and dilated, and there is no other sign of life. However, if the water was cold, there is still a good chance of survival. Even in a near-drowning, individuals must always be assessed by a medical provider. Get out of the water quickly, even on top of a capsized boat. Heat loss is 25 times greater when in the water. Drown-proofing (dead man’s float) is not an acceptable survival technique. Keep as much of the body as possible out of the water. Move to shelter quickly; remove wet clothing and warm body. In mild hypothermic conditions, warm in a shower, tub or with warm blankets. Do not give any liquids to drink; treat for shock. Continue to warm and always obtain medical assistance as soon as possible. Treat as above but DO NOT WARM EXTREMITIES! If victim is no longer shivering, the torso must be warmed first to avoid circulating cold blood to the heart. This can kill. Wrap the victim in a blanket and apply heat to underarms and groin area; wrap again in a separate blanket. Wrap each arm and leg separately to prevent warming. Hot packs should not be placed directly on the victim. A thick layer should be used to protect the victim’s skin from this heat source. If hot packs are not available, place the victim in a sleeping bag with a warm person. Be aware that in very cold water, people have survived as long as one hour under water. Recover a victim immediately and even though there may be no signs of life, begin CPR efforts until medical assistance is obtained. When air is below 40° and/or water below 50°, keep launch within 100 yards of all shells. In these conditions, hypothermia can set in quickly. Try to keep your head out of the water. Swimmers will retain heat best if they remain huddled with others and wear a life jacket. The body cools rapidly when swimming in water < 50°F. Remain as motionless as possible. Stay with your boat even if land appears within easy reaches; holding still in the water is preferable to swimming. Physical ability is hampered and judgment is impaired in cold water. Use the Heat Escape Lessening Position (HELP). Help or Huddle procedure can cover areas of high heat loss and lead to increase survival time. Both methods resulted in nearly 50% increases in predicted survival time (see drawings). “Buddy up” so that all rowers are in groups of two or three. This partnership provides a way to monitor each person and to support or assist one another in a time of emergency. Get out of the water and onto an oar or overturned shell if you can. Drink water before, during and after practice. During exercise, fluid intake should match fluid loss. Carry drinking water in the boat when rowing. Limit your time in the sun, wear a hat, and use sunscreen.Wear lightweight clothing. Plan activity level consistent with the degree of heat, amount of sun exposure or humidity. Do not take “salt tablets”. Consumption of sodium salt increases potassium loss. Moderate potassium depletion will cause weakness and fatigue while severe depletion can result in fatal heart irregularities. Symptoms: Throbbing headache, nausea, cool skin, chills, sweaty, pale, rapid pulse. Impending heat exhaustion or heat stroke may not present all of these signs, Decreased athletic performance and deterioration of muscle coordination can also be indicators. Action: Drink water, shade from sun, and treat for shock. Symptoms: Heat Stroke is life threatening – behavior changes, unconsciousness, hot but not sweaty, flushed warm skin and rapid pounding pulse. Action: Douse with cool water, shade from sun, fan, ensure that the airway is open, and always get medical assistance as soon as possible. Paddle-down at the end of your workout. It is important to your health that you don’t race up to the dock. Once the boat and oars are stored, it is important to go through basic stretch exercises to heal any unnoticed sprains or strains that began during your row, thus eliminating soreness and unnecessary pain. Report any damages or maintenance that may be required. If that crew/sculler’s log indicates that you are the last one in, turn off lights and close doors. Return all equipment to its proper place.